Join us for this workshop exploring the short but resonant life of Kalief Browder, taught by Kanene Holder with a lesson plan designed by Eisa Nefertari Ulen. This workshop is presented by The Laundromat Project and organized by the Literary Freedom Project. Accused of a crime he did not commit, and not willing to accept a guilty plea, Browder spent three years on Rikers Island, primarily in solitary confinement, while awaiting trial. Two years after his release he committed suicide –he was 22 years old. Kalief Browder’s life has come to symbolize all that is wrong with policing and the soul-grinding policies of the American penal system. This workshop will use his life as a nexus to explore media representation, racial criminalization, and judicial inequality; and how these topics can serve to broaden social conversations and classroom instruction on a variety of topics: social and government studies, media studies, and criminal justice. Kanene Holder is an artist, activist and educator dedicated to systemic change through critical analysis and creativity. She taught history at Launch Charter School devising interdisciplinary lessons about the ancient origins of Intersections of Injustice (race/class/gender) fostering critical thinking to analyze current societal ills. Holder received her B.S. in Speech Pathology from Howard University, M.S.Ed in Childhood Education from City College and fellowships from the National Endowment for the Humanities, The Colin Powell Center for Policy Study and Bard College. She taught in public schools, for Harlem Children’s Zone and Urban Arts Partnership and theater at Brooklyn Academy of Music about racial profiling. Her research on parental involvement, culturally relevant pedagogy and social justice is featured in several journals, conferences and media outlets including U.S. News and World Report and the Huffington Post. Holder also an award winning performance artist performed at venues including Brooklyn Museum and NYU. Eisa Nefertari Ulen is a graduate of Sarah Lawrence College and earned a master’s degree from Columbia University. She has taught at Hunter College and The Pratt Institute. She has contributed to numerous other publications, including The Washington Post, Ms., Health, Vibe, The Source, The Crisis, Black Issues Book Review, Quarterly Black Review of Books, TheRoot.com, TheDefendersOnline.com, TheGrio.com, and CreativeNonfiction.org. Her essays on African American culture have been widely anthologized and explore topics ranging from Hip Hop, to Muslim life in America post-9/11, to contemporary Black literature, to the gap between the Civil Rights generation and Generation X. A founding member of Ringshout: A Place for Black Literature, she lives with her husband and son in Brooklyn. Literary Freedom Project (LFP) is a Bronx-based 501c3 tax-exempt nonprofit arts organization that seeks to restore the importance of social and cultural identity through reading. 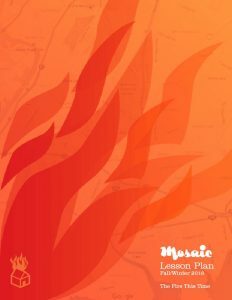 Towards this goal, LFP publishes Mosaic Literary Magazine, develops literature-based lesson plans, and hosts the Bronx Book Fair and Mosaic Literary Conference. literaryfreedom.org. This entry was posted in Workshops and tagged Eisa Nefertari Ulen, judicial inequality, Kalief Browder, Kanene Holder, racial criminalization, Rikers Island, The Laundromat Project. Bookmark the permalink.